Sept. 3, 2018, 9:45 p.m.
Sept. 3, 2018, 10:11 p.m.
Sept. 4, 2018, 8:13 a.m.
i'll tell you what's strange at this point is that Devinci's S29 is now in stores but remains some kind of big secret on their website. it's like they don't want to promote a new bike. i don't get that. Sept. 4, 2018, 9:36 a.m.
What , you say it,s on the dealers floors , where ?? I chatted with my local last week about the bike and they showed me there was a SKU. on their order page but other than that no information . Sept. 4, 2018, 10:45 a.m. When is the SB130 coming out? And yeah Scott bikes look nice but they have some weird design choices I don't like... I'm just never going to get a bike with a proprietary shock, sorry. Twinloc, no just no. Integrated bar/stem looks interesting but still no. Sept. 4, 2018, 12:23 p.m.
Mountain City Cycles in Courtenay has a size large S29 in stock right now. at least they did on Friday. Sept. 5, 2018, 8:31 p.m.
SB130 dropping September 10 rumour has it. Sept. 5, 2018, 9:08 p.m. Guess they waiting for the final EWS race to announce it , what a bad marketing idea IMO. Sept. 5, 2018, 9:46 p.m. I know someone who rides one.... geo is on the conservative side. Devinci always plays it safe. Sept. 6, 2018, 7:26 a.m. They are out there , a mechanic at a shop in Abby did a tubeless set-up on one . He was telling me about it , was speced with the new red Lyrik. So. Dumb. Really late in the season and the fact the bike is already out there in shops? Someone screwed up big time. Sept. 6, 2018, 2:01 p.m. 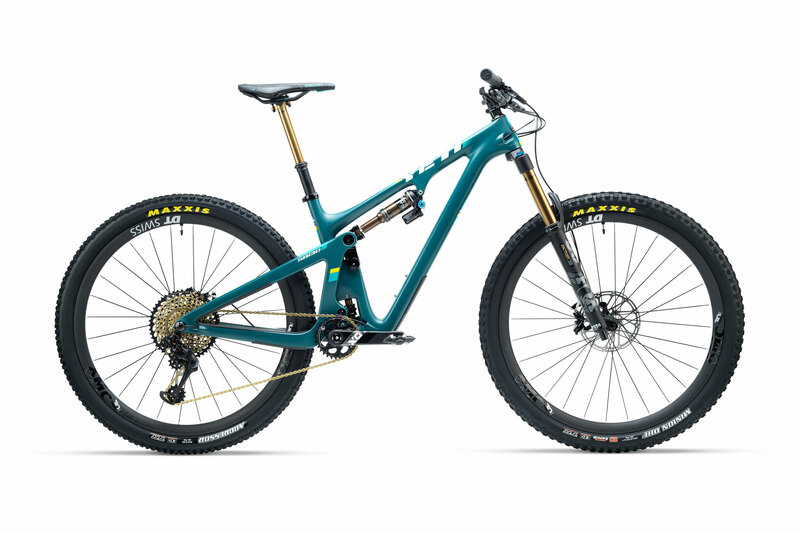 Reality is the bike has been on the radar since late last winter , so no idea why they are holding back on it's release. The pro's have been switching back and forth depending on the course . I wonder if it will be 157boost as well or whatever they call it. Sept. 10, 2018, 6:45 p.m.